Key 19th century HOFer, among the very finest players of his era. 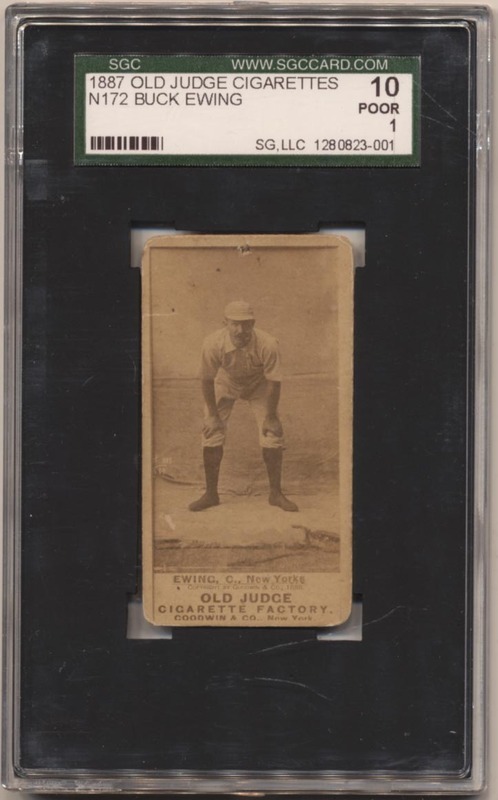 Offered is a very attractive card with an unusual image of Ewing posted in his New York uniform with his hands on his knees. Corner wear is noticeable, but the pinhole by the top border led to the 1 grade. The image quality here is very solid.